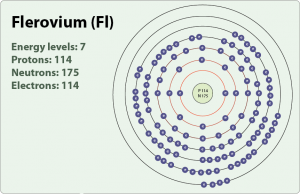 Flerovium (pronounced as flee-rove-ee-em) is a radioactive, synthetic metal with the symbol Fl . Though the short half-lives of its five isotopes (mass numbers between 285 and 289) make it difficult to study, its chemical properties (as much could be observed) show it to behave as a metal and a noble gas. 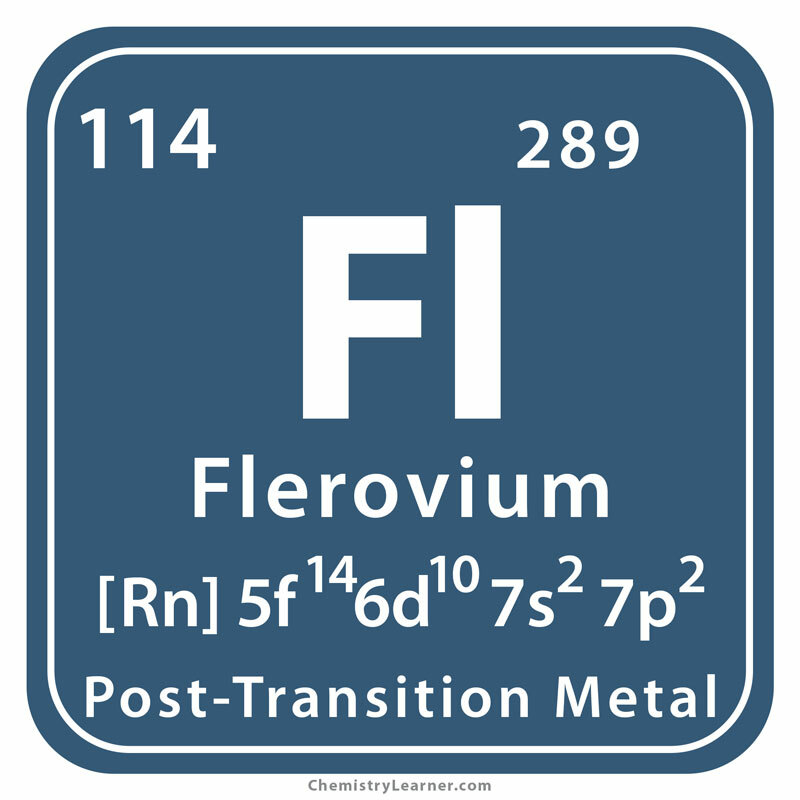 That is why this element, along with Copernicium, has been categorized as a volatile metal. Fl belongs to the family of rare earth metals and shows less reactivity [2, 3, 4, 10]. Origin of its Name: It is named after the Russian physicist Georgy Flerov, the founder of the Joint Institute for Nuclear Research (JINR) where the element was discovered [1, 4]. Who Discovered it: It was discovered by Yuri Oganessian and Vladimir Utyonkov in 1998. A team led by Oganessian and Utyonkov produced it for the first time at JINR in Dubna, Russia by bombarding plutonium with calcium. 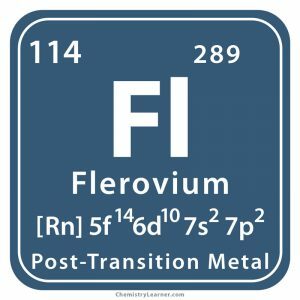 The reaction produced a single atom of flerovium-289, the most stable of its isotopes with a half-life of 2.1 seconds [1, 3]. As the element does not exist naturally and synthesized in small amounts only at the laboratory, it is used for research purposes . Being highly radioactive, exposure to it over a long period of time might be dangerous. 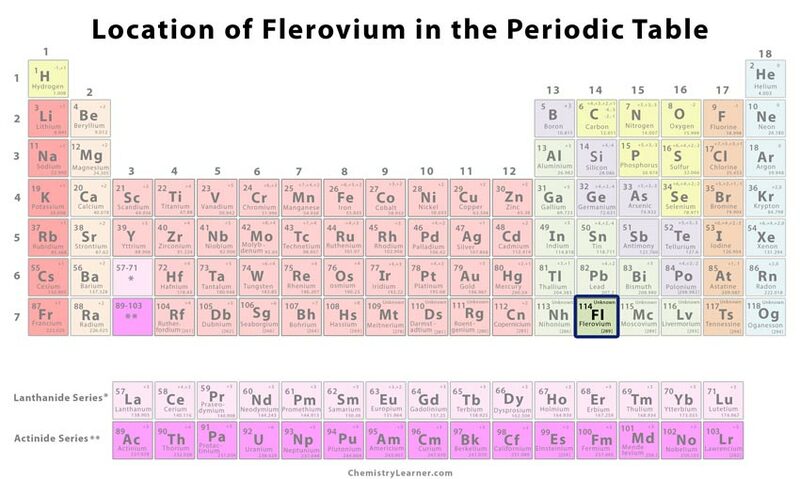 It was called Ununquadium (Uuq) until IUPAC named it as flerovium in May, 2012 . 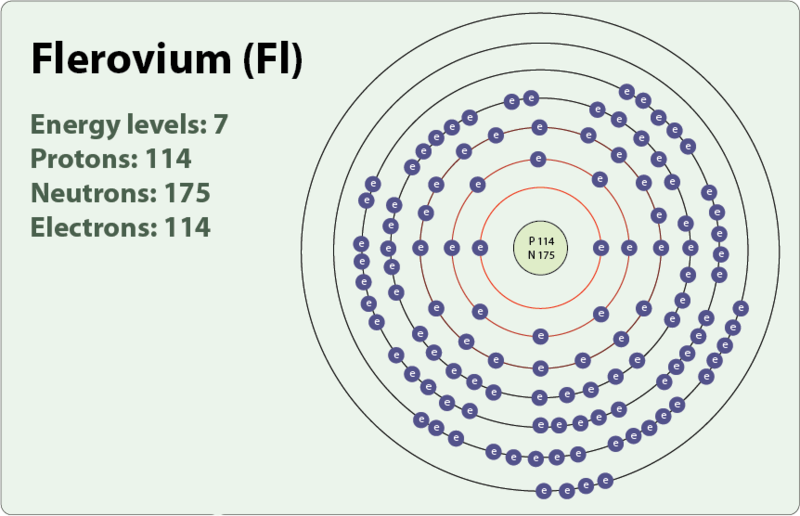 Less than 100 atoms of flerovium have been created to date .